Customers hate being bombarded with service reminders, right? Not always. At Ron Tonkin Toyota in Portland, Ore., service business in 2010 was starting to rebound after the Great Recession. But the comeback was slower than service director Steve Jewell thought it should be. So he made some marketing changes, and in the nine months after the changes were instituted, the dealership's service income increased 18 percent and the daily vehicle count rose 5 percent. "We realized we had to do something different to get customers in," says Jewell, 49. Working with GS Marketing of Houston, the dealership started sending more frequent reminders to its service customers. Instead of sending the reminders through the mail, it gave customers the choice of e-mail, text messages, automated phone reminders or mail. And it adopted a softer selling approach. Steve Jewell Ron Tonkin Toyota: "We realized we had to do something different to get customers in." Sending more digital reminders is good if "you are not shouting at people or bombarding them with outrageous claims," says Lloyd Schiller, an auto service consultant in West Palm Beach, Fla. People don't want to opt out of receiving them just in case they need something like a tire or battery, he says. Ron Tonkin Toyota has changed the content of its reminders. Gone are extra items such as transmission service that could add to the customer's bill, Jewell says. Now the dealership sticks to factory-recommended maintenance items. And when a customer brings a vehicle to the dealership, the service adviser does an initial inspection and makes recommendations that the customer can choose to have done or not. "It is a real soft sell to service whereas it was a hard sell before," Jewell says. A new digital service menu, developed by Dealer-FX of Las Vegas, has factory-recommended items on the left side of the page and dealer-recommended items on the right. The customer checks desired items after the initial inspection. The basic cost for a vehicle's 5,000-, 10,000-, and 15,000-mile service visits is $55.40 each time. That buys an oil and filter change, tire rotation and pressure check and multipoint inspection. People don't mind coming in three times a year at the lower price, Jewell says. Before, a 15,000-mile service visit could cost more than $200. Jewell says his service market share is growing. 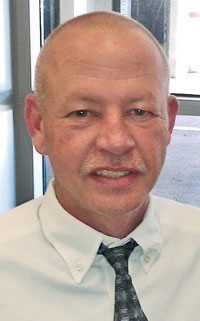 The share of Toyota owners in Ron Tonkin Toyota's primary market area coming to the store for first-time service no matter where they bought the vehicle rose from 43 percent in December 2010 to 47 percent in August 2011, Jewell says. 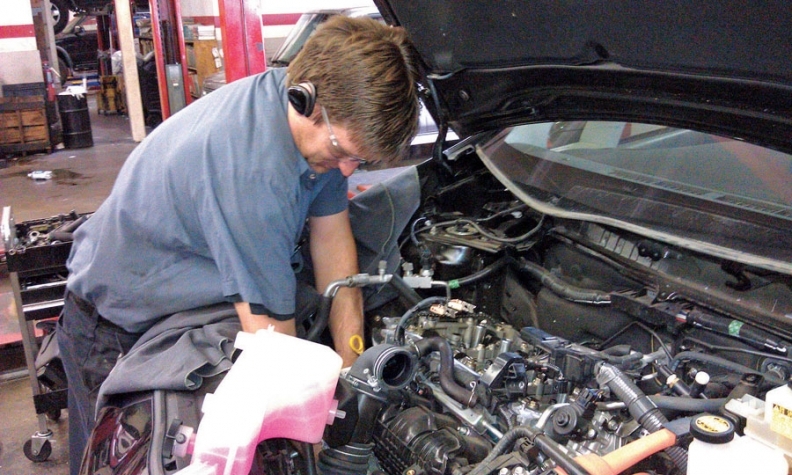 Even though new Toyota owners or lessees receive free basic maintenance for two years or 25,000 miles from Toyota Motor Corp., having the maintenance done in his dealership boosts income because customers "tend to add other little things," Jewell says. Getting customers into the dealership more often, even if they spend less, is Jewell's goal. Says Jewell: "As long as we keep them coming back to our store, chances are when they want a new car they buy from us."